From ceramics and omanut (arts and crafts) to ma'ayan (beading) and etz (woodworking), our campers tap into their creativity in our fine arts programs. We are so impressed by our first session projects including Jerusalem stone tzedakah boxes and watercolor prints in omanut, dreidel-shaped and apple-shaped dishes in ceramics, and bentscher holders in etz. Art at Ramah lives beyond our designated art areas and is integrated throughout other camp activities, including making footprint murals in teva, mezuzot with our new 3D printers in robotics, mizrach signs in shiur, and jewelry using UV beads in mada (science). 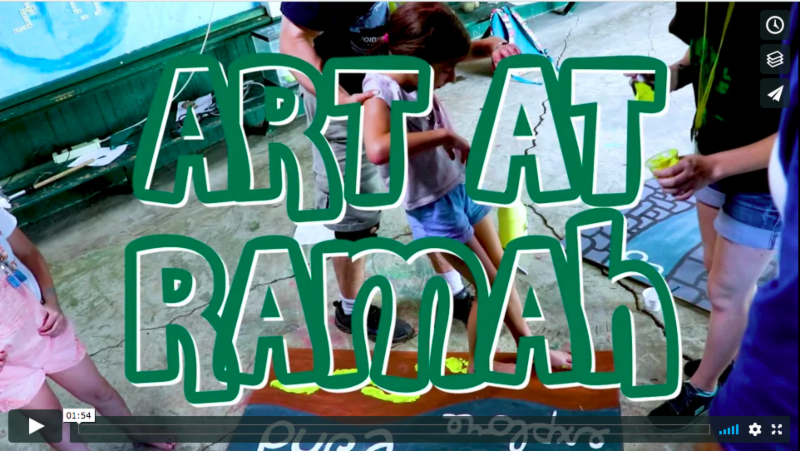 Click here or on the image above to enjoy highlights of art at Ramah. 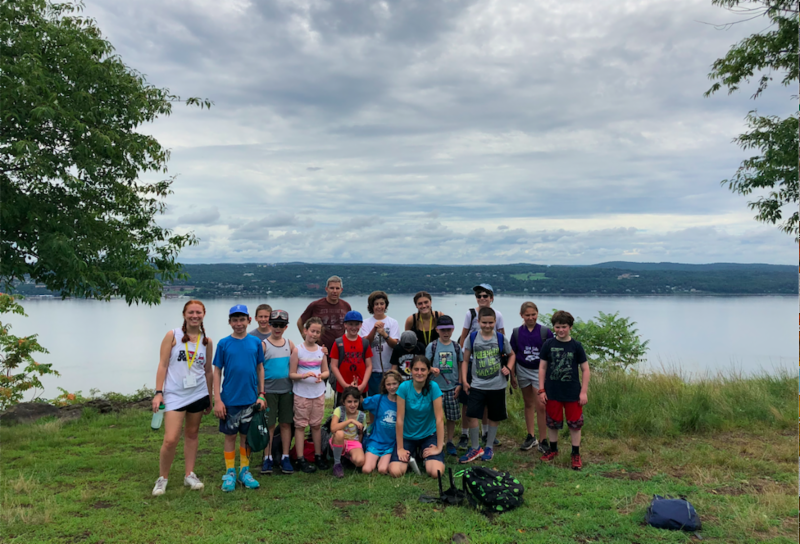 If you would like to acknowledge your child(ren)'s counselors or other staff members in a meaningful way, please consider a donation in their honor to Ramah Day Camp in Nyack. Staff members will receive beautiful Rosh Hashanah e-cards containing the names of campers and families who recognized their work. To donate, please click on the link below. Todah rabah! If you plan on extending your child's stay, you can request an extension by filling out this form . Space is limited, so we would love to hear from you as soon as possible. Ramah Outdoors specialty camp had an active and busy week of hiking, trail exploration, fire building, shelter building, canoeing, and an overnight camping trip here at camp-- the highlight of our week! We didn't let the rain stop us from discovering all that nature has to offer. In fact, we used the conditions as an opportunity to learn about water collection and purification, as well as how to adjust to adverse weather conditions while in the great outdoors. The full moon shone down as we prepared our dinner and roasted marshmallows for s'mores over our campfire. Guided by Saul Zebovitz, an Eagle Scout and experienced outdoorsman, along with our Ramah Outdoors staff, our campers gained confidence while developing their outdoors skills. Limited space is available in Ramah Sport. Click here for more information. Our team building activities throughout camp provide our campers with many opportunities to develop confidence, trust, and work together. As we welcome our second session campers, we spent the week creating bunk unity and cohesiveness during various team building exercises. Through their exploration of the low ropes course, campers develop invaluable teamwork skills while learning to trust their own physical abilities and strength. They push themselves to reach new heights and accomplish new feats. 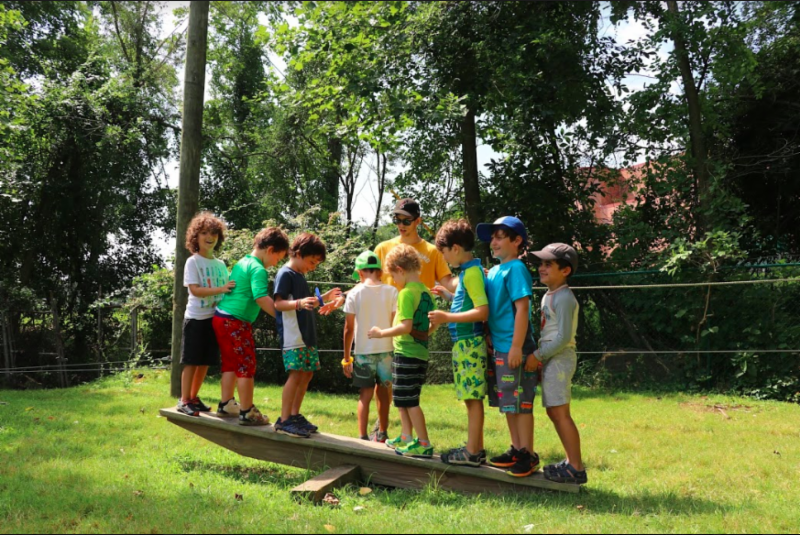 Led by tzevet member Jared Abrams, campers feel a deep sense of accomplishment at conquering new challenges each time they visit our low ropes course. Kol hakavod to our campers! Every Friday, we will post highlights from each edah (division) on the Ramah Nyack website . Click on the name of an edah below to read this week's update. Keep up with all the fun we're having during Kayitz (Summer) 2018! Like the Ramah Day Camp in Nyack Facebook page! Get the latest snapshots of camp in action! Follow the Ramah Day Camp in Nyack Instagram page! We provide our campers with snacks and meals throughout the day. For the safety of our campers and staff with food allergies, we ask that no food of any kind be sent to camp with your children . Your child may be picked up by a parent or by an authorized adult previously designated in your CampMinder account. For any changes, please email travel@ramahnyack.org. Please call camp at (845) 358-6240 or email travel@ramahnyack.org before noon on the day of the change and let us know what time you will be picking up your child.The office staff will notify your child's counselor and bus driver of the revised dismissal plans. Upon your arrival for early dismissal, please park in the Gould parking lot (across from the entrance to Nyack High School). Please obtain a visitor's pass from our security staff and proceed to the camp office where you will meet your child and sign him or her out. Please do not take your child out of camp without signing out. All early pick-ups must take place BEFORE 3:00 p.m. After 3:00 p.m., pick-ups will be carpool pick-ups in the Gould parking lot at regular dismissal. Parents are invited to join our staff for weekly evening learning sessions. Click here to see our full summer schedule of classes . Sessions include a choice of multiple topics. Please call the office at (845) 358-6240 before 3 p.m. on the day of the learning to RSVP. This is essential for security purposes. Please park in the Gould parking lot. We hope you'll join us! 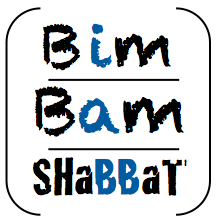 We are delighted to co-host Bim Bam Shabbat with PJ Library of Rockland County , a pre-Shabbat celebration for toddlers, pre-schoolers, and their grownups. Join us every Friday (rain or shine) through August 10, at 9:30 a.m. here at Ramah Nyack.